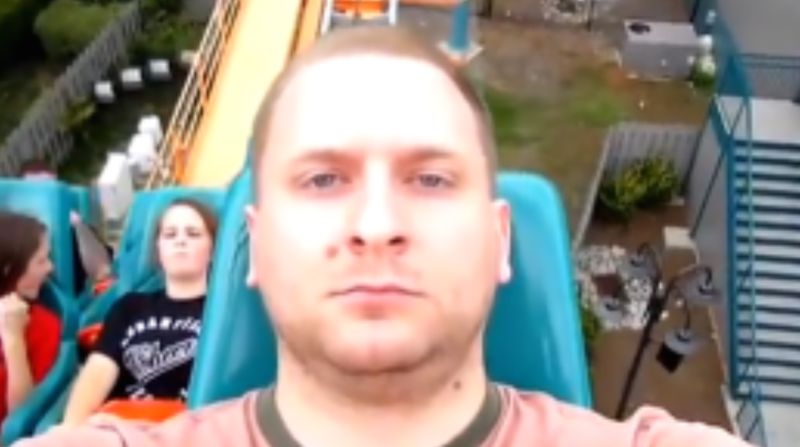 This Guy Keeps an Impossibly Straight-Face on a Roller Coaster– Video. Now I’m sure that even the toughest of us have stood in line for a gigantic roller coaster and have had some second thoughts. Sure once you get on and the ride was over you tell yourself, “That wasn’t so bad.” Then you go look at the photos they snapped of you. It’s always either the most ridiculously funny face that you can’t help by die laughing at or the most terrified face ever. The thought of keeping a straight face during the entire ride sounds impossible. Well this guy did it. I don’t know exactly what would even make him want to do this in the first place. It’s kind of weird if you ask me. Is he trying to show everyone how badass he is? Or maybe it was a bet that him and his friend made? If so he killed that bet hands down. Well what ever it was here’s the video. Check it out below.